Purchase any of the below works in person or online below and receive 10% off the price by entering "ONLINE" discount code at time of purchase. 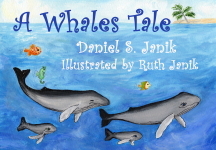 The adventures of a juvenile humpback whale on his way from Hawaii to Alaska as told by his childhood sweetheart. Written for adults to read aloud to their children, and youth to 16 years of age to read and enjoy. The first in the Savant "Color-Me-Please" series. Consider also purchasing the "Read-to-Me" Companion CD! A primer on the most delicious drink in the work, coffee, from history to growing to roasting and serving. Includes a list and description of the world's main coffees, including a unique, made-in-America blend used exclusively by Cafe Brew in Honolulu, Hawaii, USA. Required reading for all Cafe Brew employees. FREE SHIPPING ANYWHERE WITHIN THE USA INCLUDING ALASKA AND HAWAII. Allow 3 weeks (typical delivery time 7 days).